UPDATED: Wed., May 9, 2018, 9:43 p.m.
OLYMPIA – Rep. David Sawyer was suspended Wednesday from his position as chairman of the House Commerce and Gaming Committee pending the outcome of an ongoing investigation into alleged inappropriate conduct. House Democrats voted to affirm a recommendation made earlier in the day by the caucus’ Committee on Committees. 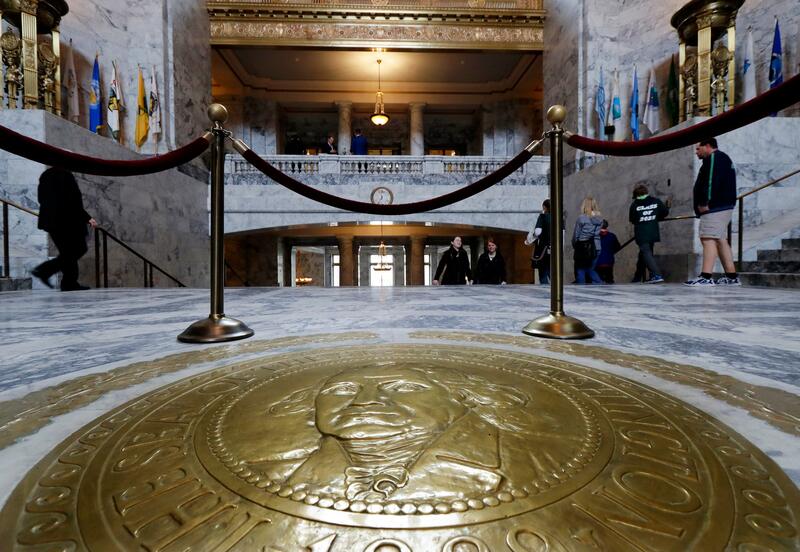 The action comes after House Democratic leaders said preliminary findings from an independent investigator showed evidence supporting some unspecified allegations made against the Tacoma Democrat. Leaders said the investigator also found an improper use of staff for personal issues and well as inconsistent statements made by Sawyer to the investigator, chief clerk, House counsel, and others in the caucus. Earlier in the day, House Majority Leader Pat Sullivan and Rep. Monica Stonier spoke with the media, but wouldn’t give specific details or scope of the allegations, other than to say that the alleged behavior occurred over a period of time and involved a number of staff members. “The credibility of the allegations led us to take this action,” Sullivan said. He said that more information would be released once the final investigative report is released later this month. The statement released Wednesday night said that further action may be taken after the investigation is completed. Earlier this year, public radio’s Northwest News Network and The News Tribune/Olympian reported that several women had accused Sawyer of inappropriate or harassing behavior both before and after he was elected to the Legislature in 2012. Sawyer’s interaction with staff has been restricted since February. Sawyer has denied acting inappropriately. “Unfortunately, the leadership and Caucus have politicized the process while withholding all facts, claiming only they can interpret them,” he wrote. Hours before Wednesday’s meeting, an attorney for Sawyer sent a letter to House Clerk Bernard Dean arguing that the planned vote was a “rush to judgment” and that “fundamental fairness and due process” entitled Sawyer to be provided the same initial information the investigator shared with House leadership. “Representative Sawyer never intended to make any female colleague or employee uncomfortable and he is committed to making concrete changes in how he interacts to ensure that his intent is clear in the future,” she wrote. Sawyer is up for re-election this year, and Democrat Melanie Morgan, a Franklin Pierce District school board member, has announced she is running against him and has already picked up key Democratic endorsements, including from Attorney General Bob Ferguson. Sullivan said Wednesday that he has personally asked Sawyer to not run for re-election, and on Tuesday several influential groups, including Planned Parenthood, Washington Conservation Voters and SEIU 775, sent a letter to Sawyer asking the same, saying they can’t support him if he seeks another term. “Your actions have significantly compromised your ability to adequately represent our shared communities,” the letter reads. Published: May 9, 2018, 1:47 p.m. Updated: May 9, 2018, 9:43 p.m.